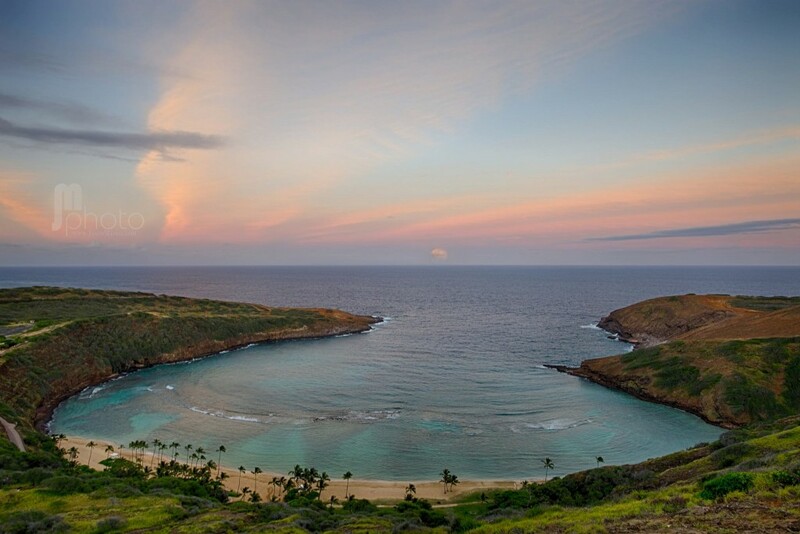 A full moon rises over Hanauma Bay Nature Preserve on the island of Oahu. Behind, the sun casts a few last pinkish-orange rays on the clouds that the moon will soon float above. The beach below is quiet now. 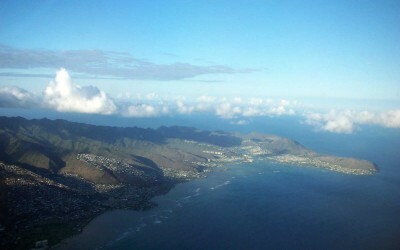 During the day Hanauma is covered with eager snorkelers viewing the tropical fish of Hawaii in this aquarium-like bay. 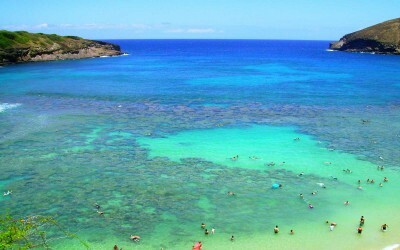 Hanauma Bay has improved in water and beach quality in the last 10 years due to large government and volunteer programs cutting back on the number of visitors allowed and stepping up coral reef education. 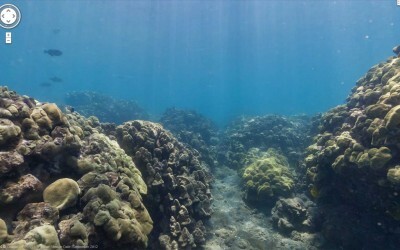 The bay is so spectacular and receives so much attention that Google even created an underwater “street view” of the reef for anyone to explore online anytime.